To provide and assure optimal services to your end-customers you need to approach the service life-cycle holistically. 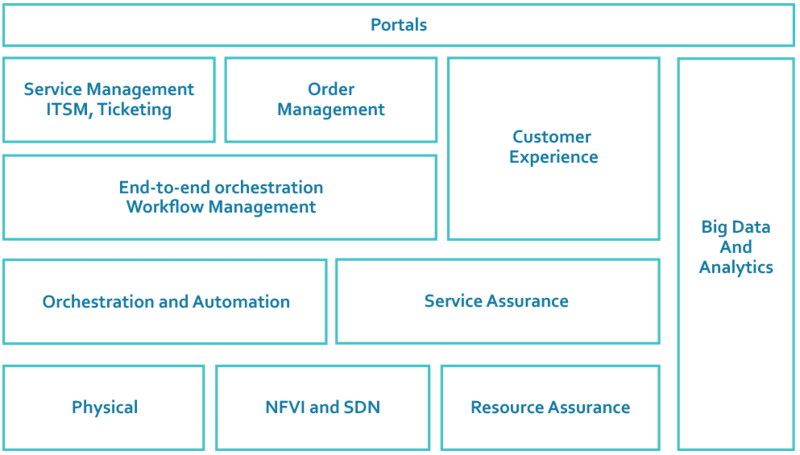 Service provisioning and assurance spans from the physical and virtual infrastructure all the way to end-to-end orchestration, customer experiences and visualization. Data needs to be analyzed across systems, processes and domains. At Data Ductus, we work with leading partners from several domains to provide our clients with the optimal solutions for their full-stack integration and development service needs. Typically, services providers and enterprise domain specialists use these services to gain a competitive advantage. They also share a common need to provide fully automated network and IT services. Advisory, development/integration, and support services. Implementation and integration of full-stack solutions across all layers as highlighted in the figure above. Data Ductus also offers solution support for an integrated solution.